On 20 September I took a trip to the North West with my other half who is celebraing his 60th birthday. It was a surprise for him to find that he would be staying in Macclesfield for the week to visit old haunts. He went to primary school in Macclesfield and lived in Nether Alderley before moving away from the area to live in South Wales. 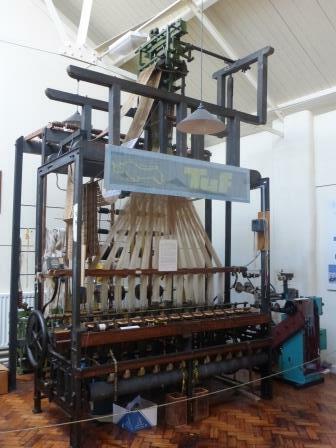 It was also a treat for me to visit Macclesfield is famous for silk manufacturing and there are a number of museums to visit in the area. 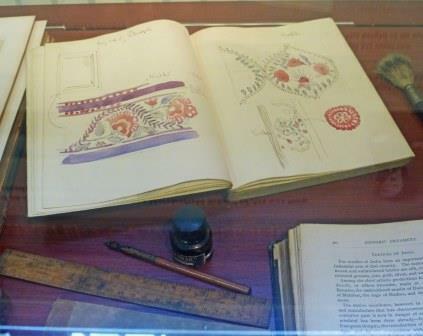 I only managed to visit the Silk Museum but have a cunning plan for returning in the future to see more! 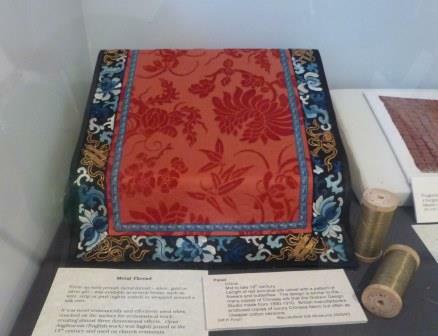 The Silk Museum gives an excellent history of the local silk trade and of the workers at work and play. 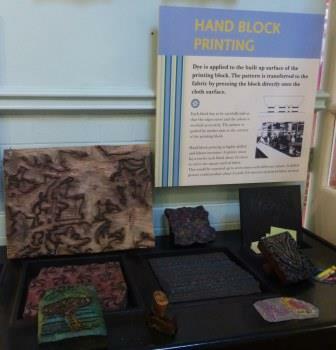 As well as the history of silk it covers the introduction of machine embroidery, engraving, block printing and lace making – I was delighted that I was able to buy an old print block! 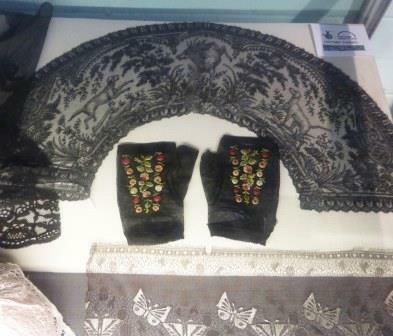 There were numerous embroidery machines, ovelockers and Jacquard looms on display and information about the introduction of City & Guilds qualification. 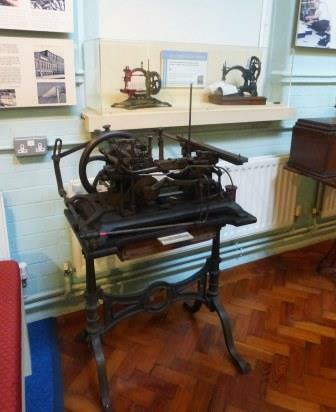 The Macclesfield embroidery school, established in 1852, was the first school to teach machine embroidery. Other attractions, that i missed but have a note to take in at some future date was the Treacle Market. and Barnaby Festival. There has been a Barnaby Fair since the 13th century, when Macclesfield was granted a Borough Charter. It is believed the name of St Barnabas – an early Christian and later patron saint of Cyprus – was taken in recognition of the contribution Macclesfield archers and bowmen made in the Crusades. This local tradition had all but died out, until 2009, when a group of like-minded folk came together to generate a vision for a festival of arts, culture and fun, based in the town centre and rooted in Macclesfield’s heritage and talents. This was realised in 2010 when Barnaby was reborn as a weekend festival. The festival is now a registered charity delivered by an army of about 200 volunteers and has become an eagerly anticipated fixture in the town’s calendar. The next festival will take place in June 2016. And, if this was not enough there are two wonderful fabric shops – The Quilting Box and the Fent Fabric Shop plus a very good haberdashery ship in the market. Macclesfield is nothing short of bliss!